Nanoe, a Europe-based high-tech company and a leader in high tech raw materials, especially for technical ceramics announced that it is launching Zetaprint system, the first metal and ceramic desktop 3D printing system at the upcoming Formnext 2018, along with a new Stainless steel 316L Zetamix filament. Zetamix filaments are constituted of a polymer matrix and a ceramic or metal powder, which can be used in any FDM 3D printer. The 3D printed shape is afterwards debinded and sintered in order to obtain a high density part. Zetamix filament are already available for ceramics in alumina, zirconia, and ZTA, and with the new launch will also be available in metal in stainless steel 316L. The company is also developing other materials such as SiC, WC-Co, titanium and incone. 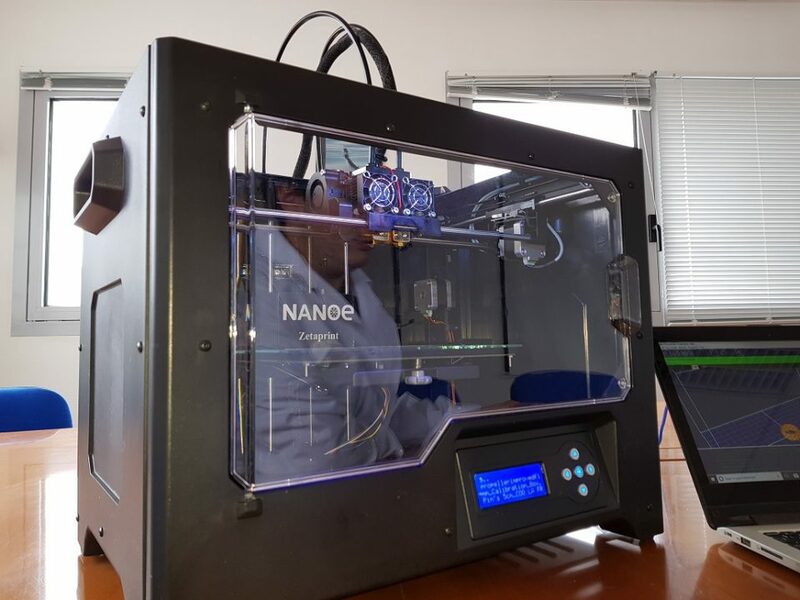 Nanoe is launching this complete line of adapted FDM 3D printer, debinding vessel and sintering furnace, at a cost of €10,000. Nanoe will be at Formnext, Hall 3.0 booth A74 and will showcase some 3D printed parts in some of the company’s different materials. It will also be at the event that the company will provide a live demo of its Zetaprint system. About Nanoe: Nanoe is a leader in high tech raw materials, especially for technical ceramics. The main products of the company include Al100 (Alumina), 3Y-TZP (Zirconia), Yttria and ZTA composites. The company also offers ready to use materials for casting, pressing, injection molding, and now 3D printing technologies.